A set of new 'farm resilience measures' should be developed to combat extreme weather events, farming unions say. Resilience measures are "urgently needed" to combat extreme weather events, with the summer’s agricultural drought highlighting the "vulnerability" of farming and the nation’s food security. The summer’s heatwave and the impacts of the drought were "hugely challenging" for farmers, and the NFU and NFU Cymru say such events should act as a "wake-up call". It caused crop yields to become unpredictable and of lower quality, a severe lack of feed and bedding for livestock, interruptions to water supplies and an increased risk of fire. A new document released by the NFU and NFU Cymru this week sets out the industry's priorities to help move towards a more drought-resilient farming sector and food system. The unions seek to develop a long-term plan for managing water scarcity where food production is recognised as a priority user, and promote best practice in the management of resources like soil and fodder across all sectors to improve farm resilience. The document also highlights how the industry must ensure strategic planning of straw supply and demand, uniting the supply chain, and promote contingency planning amongst farmers to help them better understand the risks of water supply disruption and how to manage them. The Government has been urged to develop policy measures to support farmers in managing the impacts of weather and market-related volatility, including droughts and water scarcity, and deliver flexibility in the application of water abstraction rules. Rapid derogations to rules governing farmed environment schemes are also needed in the event of extreme weather, and farmers should receive prompt payments, the unions say. The document highlights the industry's frustration with blockages in the planning and licensing regulations that impede the construction of more on-farm water storage reservoirs. The Government has been urged to introduce incentives through the tax system to enable investment in such reservoirs. Both unions say the Government must also invest in improved monitoring and measuring of abstraction to make best use of available water, and continue investment in the UK’s weather forecasting capability, especially in medium-term forecasts and those aligned to real-time water availability monitoring to support drought planning. NFU President Minette Batters said the full effects of this summer's heatwave and agricultural drought won’t really be known until next year. “It exposed the vulnerability of the UK’s farming sector, much of which relies on regular rainfall to meet crop and animal welfare needs. This places our sector in sharp contrast to other water users,” she said. “At our Drought Summit in August Defra Secretary of State Michael Gove promised ‘to do whatever it takes’, to deliver ‘maximum flexibility’ and to ‘move quickly’. 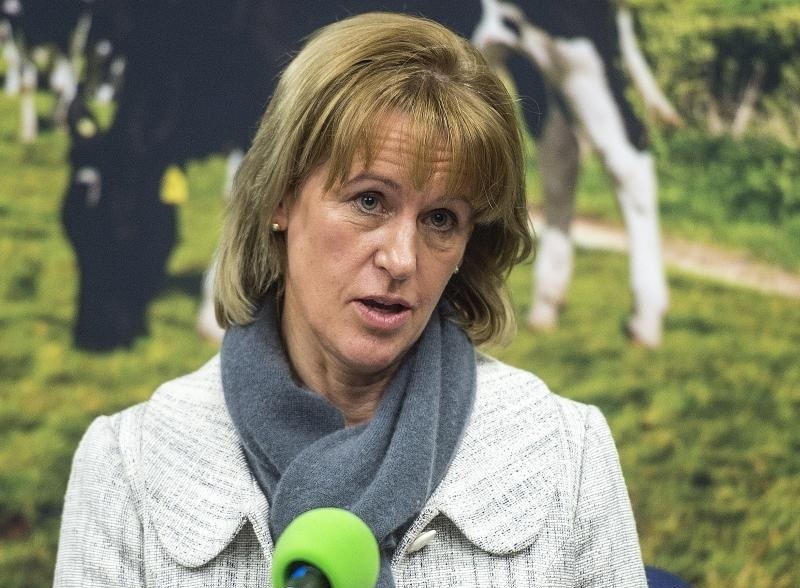 Mrs Batters added: “Our industry is on the forefront of climate change impacts and producing safe, traceable and affordable food is a daily challenge for UK farmers. The lessons we have learned clearly identify what policies need to be in place to manage market failure and volatility. “This must be treated seriously alongside productivity and delivering for the environment in order to provide a supply of home grown food and to deliver food security for the nation,” she said.